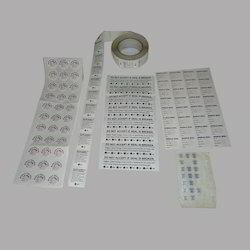 Pioneers in the industry, we offer seal labels and customized sticker from India. 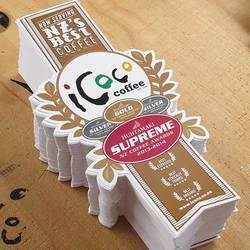 We are an eminent supplier and manufacturer of an comprehensive spectrum of amazing Seal Labels. Offered collection is manufactured using best quality raw material, at our in-house production facility that has hi-tech machinery and latest technology. Sea labels are the best solution to save products and brands from tampering. To meet the requirements at our patrons end, we provide these labels in different colors, sizes and prints. In addition, we deliver the consignments using easy means of transportation in stipulated time frame.